Eli Wallach ( December 7, 1915 – June 24, 2014) was an American film, television and stage actor whose career began in the late 1940s, spanning more than six decades. Trained in stage acting, he became “one of the greatest ‘character actors’ ever to appear on stage and screen, states TCM, with over 90 film credits. On stage, he often co-starred with his wife, Anne Jackson, being one of the best-known acting couples in the American theater. For his debut screen performance in Elia Kazan’s Baby Doll (1956), he won a BAFTA Award for Best Newcomer and a Golden Globe Award nomination. Among his other most famous roles are “Dancer” in Don Siegel’s gangster film The Lineup (1958), Calvera in John Sturges’ classic western The Magnificent Seven (1960) with Yul Brynner, Steve McQueen and Charles Bronson, Guido in The Misfits (1961), and Tuco (“The Ugly”) in Sergio Leone’s western masterpiece The Good, the Bad and the Ugly (1966) with Clint Eastwood and Lee Van Cleef. 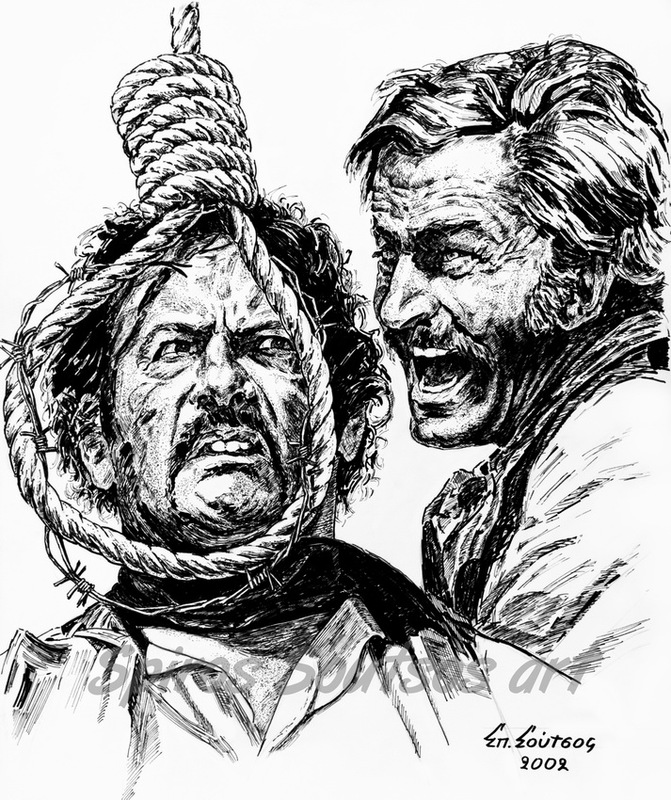 Some of his other western films included Aces High (1968), How The West Was Won (1962), J. Lee Thompson’s Mackenna’s Gold (1969 ) with Gregory Peck and Telly Savalas, and Ducio Tessari’s spaghetti Long Live Your Death (1971) with Franco Nero. Other notable portrayals include , Don Altobello in Francis Ford Copolla’s The Godfather Part III, Cotton Weinberger in The Two Jakes (both 1990), and Arthur Abbott in The Holiday (2006). One of America’s most prolific screen actors, Wallach remained active well into his nineties, with roles as recently as 2010 in Wall Street: Money Never Sleeps and The Ghost Writer.